Newcomer Family Obituaries - Geraldine Montgomery 1946 - 2019 - Newcomer Cremations, Funerals & Receptions. On the 18th, November 1946 in East Chicago, Indiana, Nathaniel and Bernice Sullivan welcomed their forth precious baby girl, Geraldine Sullivan, who was born into a family of siblings, Daniel G. Sullivan, O’Lillian Sullivan, Henry G. Sullivan, Belly F. Sullivan, AreReatha Sullivan, and Nathaniel M. Sullivan. In January of 1966, Geraldine Sullivan graduated from George Washington High School in East Chicago. She graduated six months earlier than her graduating class. She was blessed with her first child, Myla C. Selvie on the 20th of February 1967, and went on to meet her loving husband in 1970 in the month of October. She was introduced to her husband by her good friend, Ms. Kathy, who was Barrie’s step-sister, Wallace Henderson’s girlfriend. Geraldine and Barrie dated for two months before he proposed two times before she finally said yes, the third time. “Third Time’s a Charm.” On the 10th of April 1971, they wed in East Chicago, IN, by Rev. F. C. Wade, Jr., at Zion Baptist Church and had a long-lasting marriage of 48 years. Geraldine was blessed when she married Barrie who had a daughter name Felicia D. Connelly. After years of trying to conceive, she gave birth to her last daughter, Adrienne V. Montgomery, on the 9th of November 1979. In 1971, Geraldine and Barrie made Denver, CO as their personal residence, where she was employed as a P.B.N Operator for Colorado University Health Services Center, now known as UCHealth. Geraldine devoted her life and love raising her family, serving the Lord as a member at Pilgrim Rest Church and singing in their choir for many years. She also sang with Our Fathers Children & The Sounds of Pentecost under the direction of Rev. Butch Hobbs. Geraldine then became a member of Heritage Christian Center and sand in their Mass Choir under the direction of Greg Toller, and lastly shared her angelic voice with Joe Pace and The Colorado Mass Choir. Her last worshipping place was at Simchat Torah Beit Midrash with Rabbi Ralph Messer. 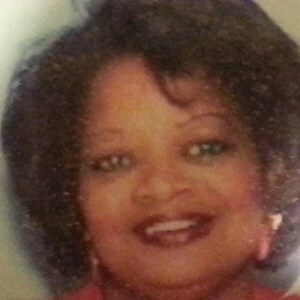 She leaves her valued and loved grandchildren, from Tyrelle West, Kenisha West, Alisha West, Aaron West, Raymond Prather, Damon Prather, Le’Onsha Scott, Spencer Parker, Michael Pugh, III, Gabriel Pugh, Adrienne Pugh-Montgomery, and Vye Pugh-Montgomery. Geraldine was passionate about serving her Lord, her love, her prayers, her cooking Sunday meals, and hearing her sing around the house will be tremendously missed forever. To share a memory of Geraldine or leave a special condolence message for her family, please click the Share Memories button above. Add your memories to the guest book of Geraldine Montgomery. On behalf of myself, Shelia L. Speed Fortson, (the daughter of Lillian Sullivan Speed Rhymes, the sister of Geraldine‘s father, Nathaniel Sullivan, Sr.) and my husband, Darryl, we would like to express our heartfelt condolences to the Montgomery family and to my dear cousin Charlezetta Roberson, with whom I have renewed a special and dear family relationship with since moving to Las Vegas, Nevada four years ago. We were sorry to hear of Geraldine‘s passing, but we remain confident in Christ that her soul is now commended to the bosom of Christ and his everlasting arms. We thank God for her life, her family, and the eternity she now inherits – namely, the eternity of living with Christ. May God keep her and hold her and may he also reside with her family who has lost her on this plane. We pray that we all remain in a steadfast obedient walk in Christ Jesus so when the times arrives we will see her again. I worked with Gerri at the “Old” Colorado University Hospital and Health Science Center off of Colorado Boulevard in Denver. We sat next to each other at work and what fun did we have. Gerri’s personality was as big as the love she had for her family and friends. She would draw you in with that contagious laugh of hers. Gerri was a person that truly cared she invited my family to watch her sing in the church choir, what an up lifting experience that was. Gerri will live on through the wonderful memories she has left us with. To be absent is to be present. Forever remembered. I was lucky enough to meet Gerri years ago when she worked at University Hospital. Each and every memory that I have of Gerri is filled with love and and the sound of her laughter. Her laugh could make even the crankiest of people smile. The genuine kindness and positivity that she embodied was shown to every person that she encountered. It didn't matter if she knew you or not, you mattered to Gerri. I can still hear her greet me with a "Hi Miss Kelly!" when I would walk in the room, and, if I was having a bad day, she could always make it better. Her hugs....to this day I have not met anyone that gave better hugs than Gerri. When she held you in her arms you would feel the warmth of her love. I had my last hug from her in April...what I wouldn't give for just one more. I love you Gerri and will miss your gentle and kind spirit. I meet Gerri in Nov.1988 when I started working at University Hospital as an operator. My fondest memories of Gerry is her smile and her laugh. Gerry was always smiling and laughing. Gerry was a very loving and giving person I know because she help me a lot I didn't have many friends. Gerry love giving bear hugs, sometimes when we working together she will sneak up beside me and start kissing my face with her red lipstick that she like to wear. I will always remember Gerry in my heart. I know she is at peace now with the lord, singing with angels. My Deepest condolences to the family as she was such a great wife, Mother and the best Grandmother anyone should be proud of. My memories of Gerri are nothing but wonderful memories of her kindness soul and huge heart that she always had for everyone. There was never a favor she wouldn't do for you no matter what the obstacles she would always find a way, her door was always open as well as her Bible that remain close to her at all times. I was lucky enough to have come and visit with her this past April and there was Gerri still the wonderful Gerri I will always remember forever and will never forget. May you Rest in Peace and until we see each other again, Love you. Sharron and I are praying for you Barry, Myla,Adrienne and family. I’m thankful that God blessed us to know one another. May JESUS’ love and presence keep you . She stood in as my mother at my wedding with Colette. She was everything. Condolences from my family to the Montgomery family. May your mother rest well and peacefully with the Lord. I am so sorry for your loss, your all in my prayers. Rest in heaven beautiful Queen. Granny I'm sad you are gone but I know you are with the Lord and comfortable. I will miss you dearly and cherish every memory. Rest in peace. Prayers and condelences from the Scott and Robinson family ? ?